Friday’s stock market rally is a good example of why it’s never a good idea to follow crowds on Wall Street, especially during sharp downturns. Panic-selling for long-term investors almost always ends poorly. Investors who kept their wits during the financial crisis ended up recouping not only all their losses but also were still around to participate in the longest-running bull market in history. 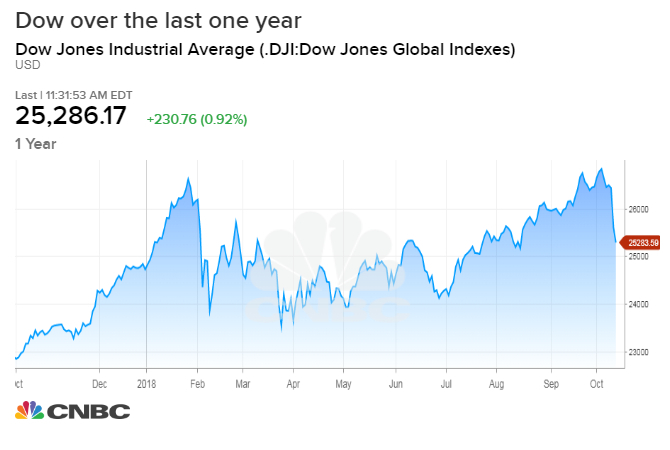 The market currently is amid a downturn that has taken it sharply lower from recent record highs, with the Dow Jones Industrial Average off nearly 5 percent in just the last week or so. However, investors earlier this year saw a similar scenario play out. Markets went into correction mode following an inflation scare in late January and early February. Soon after, though, a rebound took the market to new highs. As noted in my book “The 30-Minute Millionaire,” many investors panic and sell out of the stock market at the wrong time. This is a function of irrational investment decisions based on emotion. Some basics to consider at times like these: Are fundamentals strong? What is the outlook for corporate earnings? How is the economy behaving? Where are interest rates? It may well be that a look at your portfolio could show that your asset allocation has gotten out of whack. There’s nothing wrong with rebalancing and bringing your investments back into line with your long-term goals. But basing those decisions on emotion and over what has happened over the course of a few days doesn’t make sense for those in for the long haul.